J&K Encounter: Two terrorists were on Saturday killed in an encounter in Shopian district. 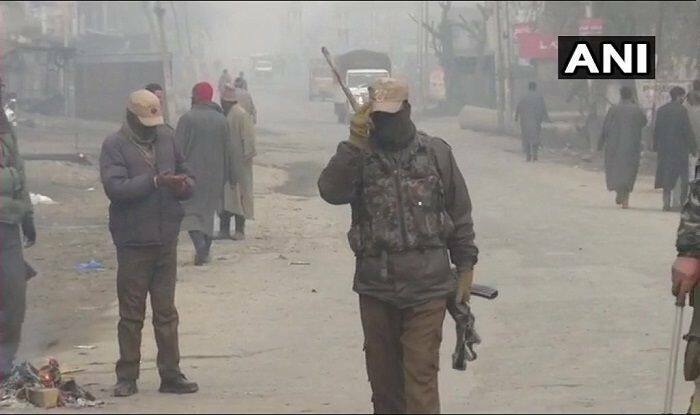 Srinagar: At least two terrorists were on Saturday killed in an encounter with security forces in Imam Sahib area of Jammu and Kashmir’s Shopian district, news agency ANI reported. As of now, the area has been cordoned off. Earlier, three terrorists were neutralised following an intense gunfight with the security forces in Keller area of Shopian district in the state. The encounter was carried out by a joint search party of the CRPF, Indian Army and the Jammu and Kashmir Police. “The terrorists killed in the encounter in Shopian district, earlier today, have been identified as Sajad Khanday, Aqib Ahmad Dar and Basharat Ahmad Mir, all residents of Pulwama. It was a combined group of terror outfits Hizbul Mujahideen and LeT,” a statement released by the Jammu and Kashmir Police over the Shopian encounter read.